South Africa & Other African countries SuperSports (South African based network, SuperSports has live rights in South Africa and some of the other african countries.) Participating countries in World Cup will have their matches on their national channels. South American Countries Unlike the previous world cups, every South American country has seperate deals with FIFA and below is the list of channels broadcasting in latin countries. More then 40 countries will provide the live commentary of World Cup 2018 matches. In Australia you can get each match detail about the team line-ups, pre-match interviews and live commentary on (SBS) radio channel during the match. 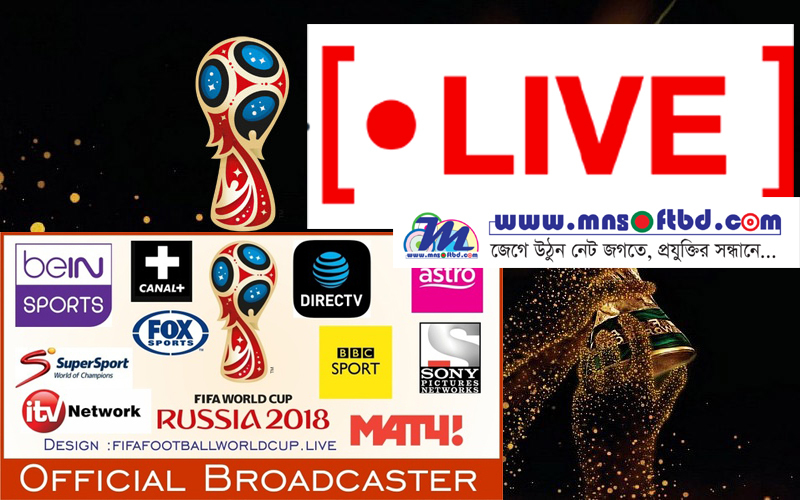 The biggest radio broadcast of world cup 2018 matches will be listed in Brazil. Almost 7 radio station will give live updates from Russia. In Brazil radio channels that will air Brazil match live commentary are (Rádio Bandeirantes, Rádio Gaúcha, Rádio Itatiaia, Rádio Jovem Pan, Rádio Verdes Mares, Sistema Globo de Rádio and Super Rádio Tupi). Fútbol de Primera provide live radio commentary in United States and BBC in United Kingdom.